About 5% of the population has ears that protrude excessively. 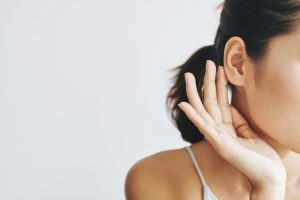 If you or your child have this condition, Dr. Houser at Cosmetic & Plastic Surgery of Columbus has the education and experience needed to restore your ears back to a normal position. Discover what it’s like to have people pay attention to what really matters—your words and smile—rather than your ears. Otoplasty is a relatively simple procedure involving some combination of sutures, cartilage removal, and skin removal. Otoplasty incisions are placed behind the ear and, in most cases, there is little noticeable scarring. As with most of Dr. Houser’s procedures, patients will undergo local anesthetic and twilight sedation for an easier, more gentle recovery, although sometimes younger patients require general anesthesia. If twilight sedation is being used, surgery will take place on-site, in the same convenient location where all your previous appointments took place. Cosmetic & Plastic Surgery of Columbus prides itself on being an accredited surgical facility through the American Association for Accreditation of Ambulatory Surgery Facilities, which is only possible by providing the highest level of patient care, safety, cleanliness, and emergency response readiness. Recovery from otoplasty is fairly quick. A headband is generally worn for about six weeks to prevent stress on the sutures and a recurrence of the protrusion. A pain medication may be prescribed, but most patients report only mild discomfort/soreness initially after surgery. The majority of recovery is complete within 1-2 weeks. A very small percentage of patients may develop a blood clot on the ear; it may dissolve naturally or can be drawn out during a quick visit to the office. Many parents wonder when it is best to obtain otoplasty for their child. Generally, ears stop growing around age 5-6, so surgery is not recommended any earlier than that. Dr. Houser also recommends assessing a child’s awareness of their ears; if the child is not trying to hide their ears and doesn’t otherwise seem bothered by the protrusion, parents may want to wait. When the child shows signs of embarrassment or annoyance and says they’re ready for a change, call Dr. Houser for a consultation. When the time is right and you’re ready for your ears to stop stealing the show, the staff at Cosmetic & Plastic Surgery of Columbus look forward to working with you or your family to provide an otoplasty procedure.